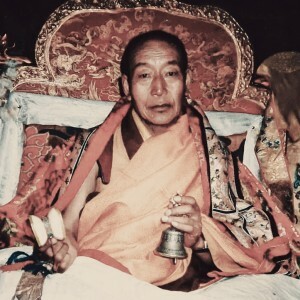 His Eminence Trehor Kyorpen Rinpoche was a high lama from Drepung Monastery. 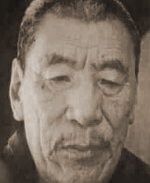 A learned scholar and erudite master, he obtained his Geshe Lharampa title at the same time as His Eminence the 2nd Serkong Dorje Chang (1921 – 1979), who entered Gyume Tantric College at the age of 26 after receiving the title of ‘Rabjampa‘. 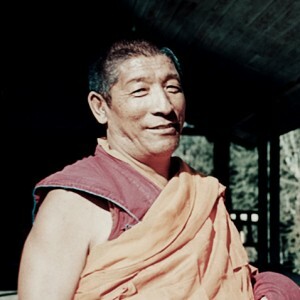 Trehor Kyorpen Rinpoche was a great yogi of both the Tantric generation and completion stages. 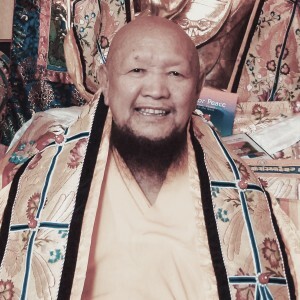 A relatively recent meditator who had achieved and attained these paths, he was greatly praised by Lama Yeshe during his “Teachings at Amitabha and White Tara Initiations and Retreat” at Shakyamuni Centre in Taichung, Taiwan. After he became a Geshe, Trehor Kyorpen Rinpoche went into retreat in a cave on Lhumbo Tse, a high mountain near Lhasa. 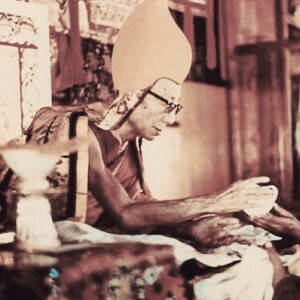 Throughout the duration of his retreat, he carried only one text – the Lamrim Chenmo, his robes and was accompanied by only a monk-attendant. 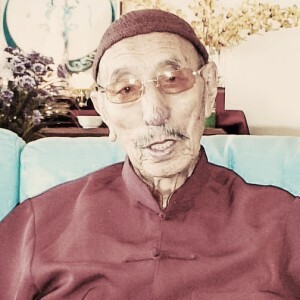 While Trehor Kyorpen Rinpoche was looking for a cave on this high mountain, rocks kept on coming down near him as if thrown from above. He followed the stones and after some time, came upon a cave. The stones were dropping on that cave. 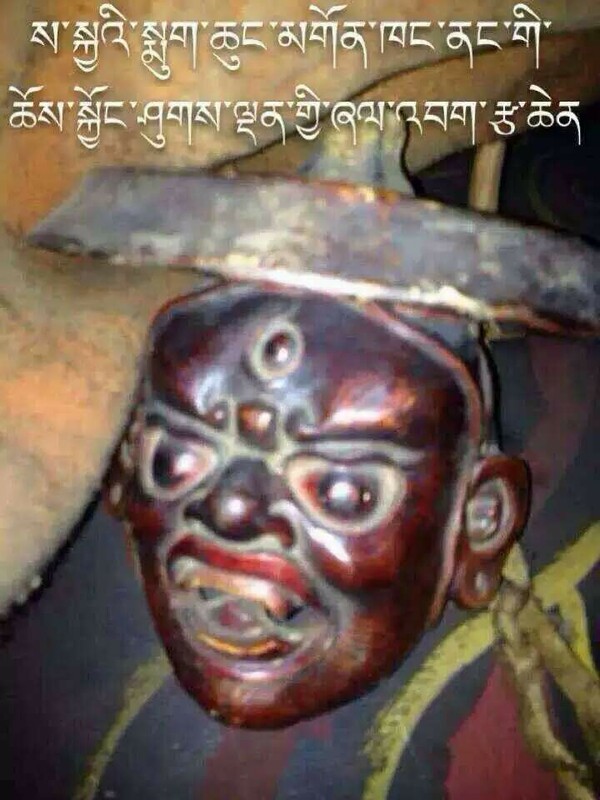 When he entered the cave, he found a skeleton sitting in the meditation posture. 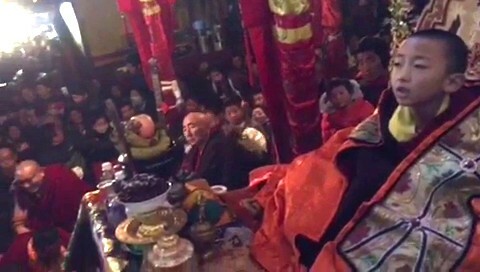 Trehor Kyorpen Rinpoche then sat down and offered a mandala. 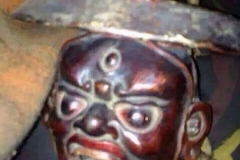 Upon completion of the mandala offering, the skeleton collapsed. 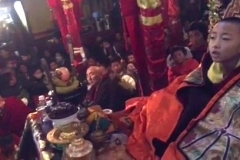 Trehor Kyorpen Rinpoche took it as an auspicious sign and decided to practise in that cave. 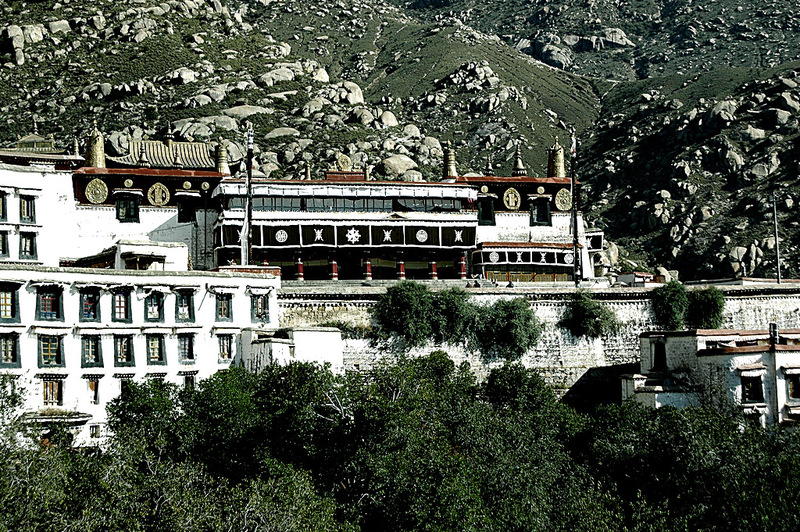 Over time, some of his disciples travelled to the mountain and also meditated nearby in places. 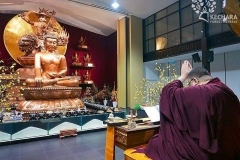 As they had already completed their studies, they were also there to experience and actualise the path. 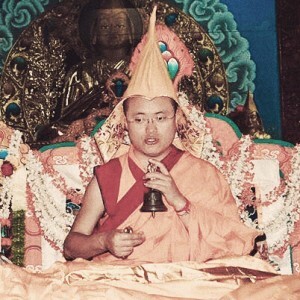 One of Trehor Kyorpen Rinpoche’s teachings is that a person requires a lot of merit to realise Emptiness, thus those who have very little merits will have difficulty realising this root tenet of Vajrayana Buddhism. 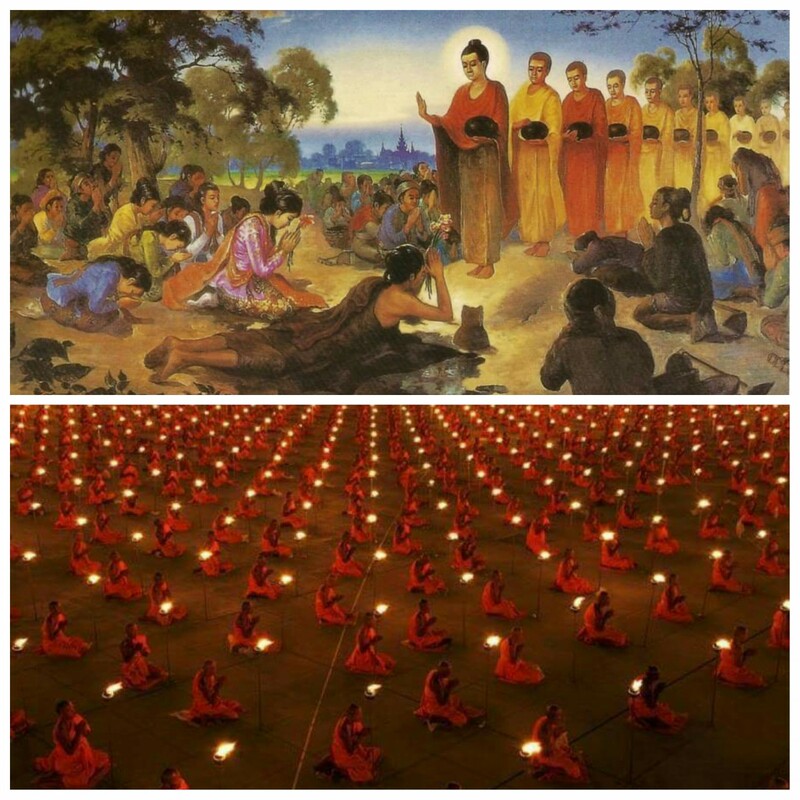 Thus, during his lifetime, he greatly encouraged activities that would help his disciples collect merits. 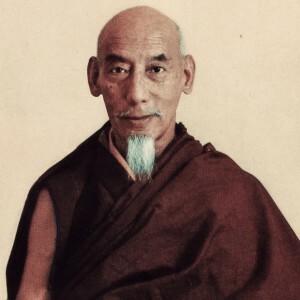 Rarely we come across writings on His Eminence Trehor Kyorpen Rinpoche, therefore this is a precious write up as it sheds light on this great yogi who was proficient in Tantric practices. 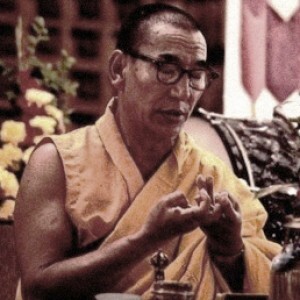 Trehor Kyorpen Rinpoche teaching greatly focused on renunciation. 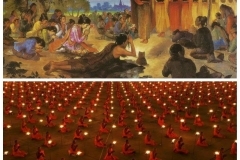 He only accepted students who had renounced this life and its attachment and led an ascetic life to meditate with him. 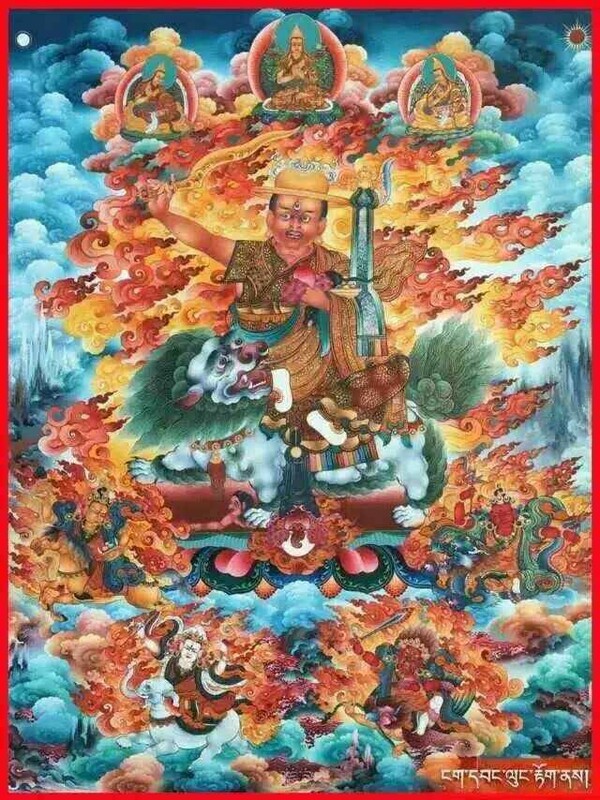 He also propelled collecting merits for he believed that a person requires a lot of merits to realize Emptiness, thus those who have very little merits will have difficulty realizing this root tenet of Vajrayana Buddhism. 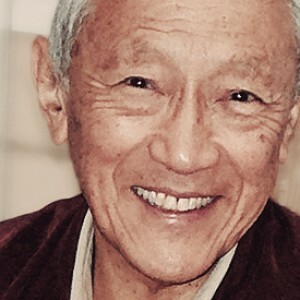 This is my first time hearing this great master: H.E. 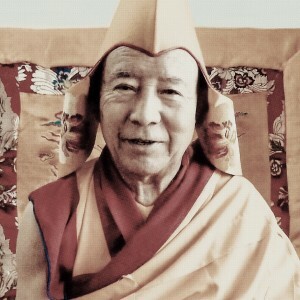 Trehor Kyorpen Rinpoche. Thank you Admin for writing this article about this great masters. 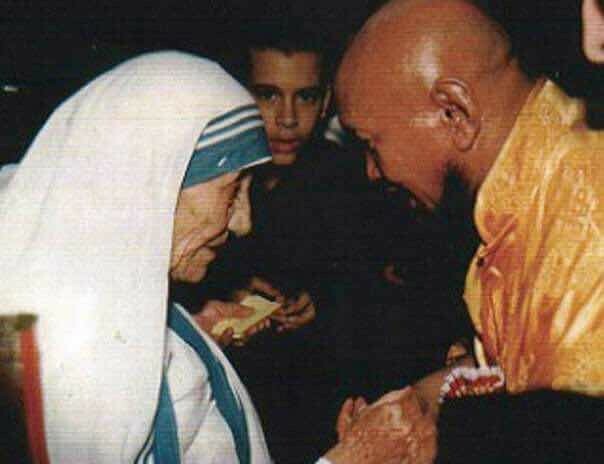 What amaze me is all the masters say the same thing: collect lots of merits, denounce worldly concerns, and do a lot of retreats. 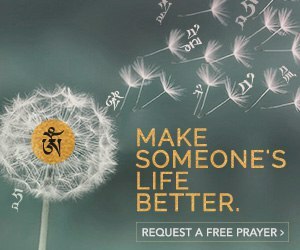 All these simple yet profound teachings are usually not taught to us in school, and most likely not from our parents. 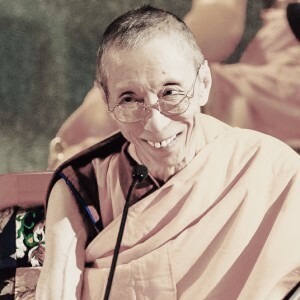 I pray there are many more masters who practice to benefit others, and more lay people are willing to give up our worldly attachments and practice more intensely. 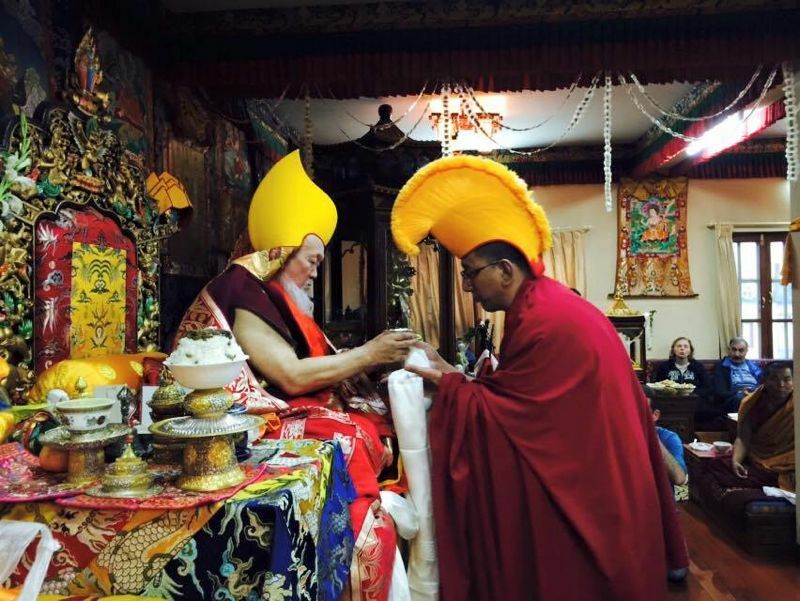 High Lamas of Tibetan Buddhism are always exhorting practitioners to do dharma work and carry out virtuous deeds to accumulate merits. This clarifies why it is so urgently needed. 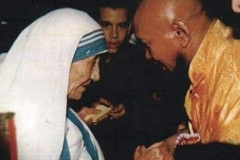 And, his selection of only those are able to renouce this life, for further practices shows that he is in a hurry for us to be serious in dharma and seeking of enlightenment. 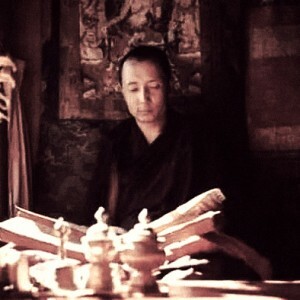 How fortunate were those who became his students and fellow meditators. 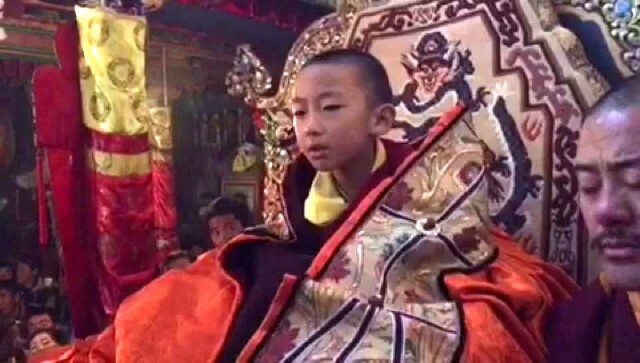 Trehor Kyorpen Rinpoche is very compassionate and encouraged his disciples involve more activities to collect merits during his lifetime. 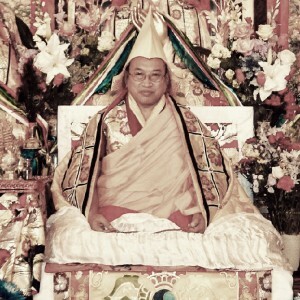 This is becauce Trehor Kyorpen Rinpoche realized that a person requires a lot of merit to realise Emptiness. 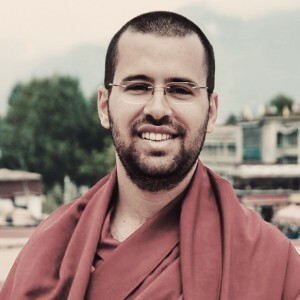 Follow the teaching from Lama Tsongkhapa, one of the activities to collect merits is to engage in mandala offerings retreat. 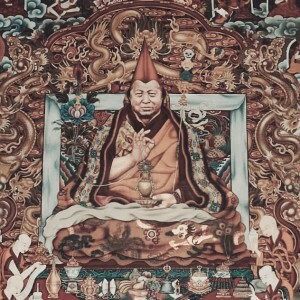 Lord Tsongkapa himself engaged in the practice of doing 1 million mandala offerings in retreat upon which he generated the great cause to have direct visions of Manjushri consistently. 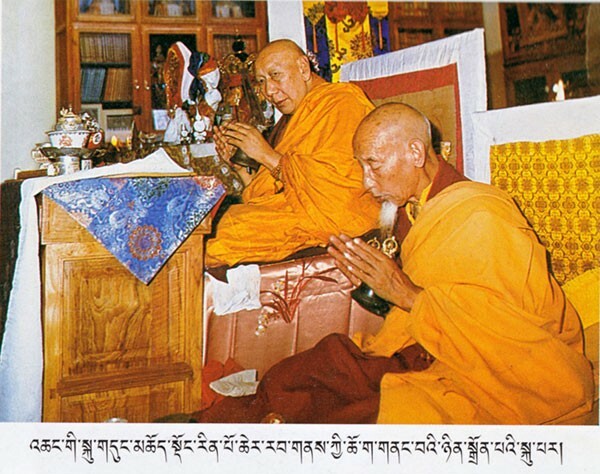 As such, if we diligently follow Lama Tsongkhapa’s teachings, we will surely develop on the path. 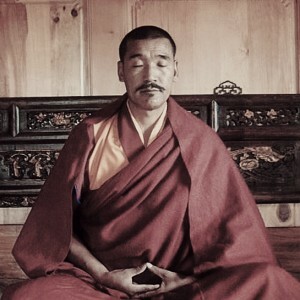 Trehor Kyorpen Rinpoche, a great yogi and tantic adept , may be relatively unknown. 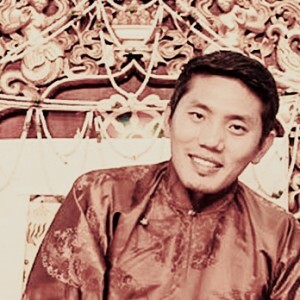 Yet reading this article about him, I find him to be most inspiring and that his being relatively unknown is a mark of his humble and unassuming nature. 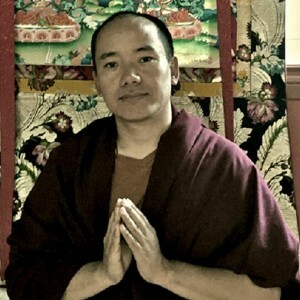 After obtaining his Geshe Lharampa degree,he straightaway went into retreat in a mountain cave near Lhasa, with only a Lamrim text and one monk-attendant. 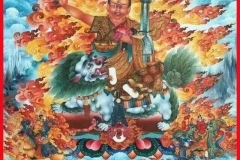 In keeping with this spirit of complete renunciation of all attachments and distractions of samsara, he would only allow students and geshes ,who were equally renounced, to go into retreat with him. 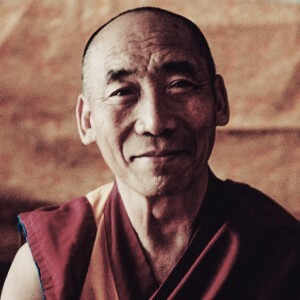 One of the powerful things he taught was that it requires a lot of merits to attain Emptiness, the root tenet of Vajrayana Buddhism, and hence the reason why those with little merits will find it difficult to realise Emptiness. 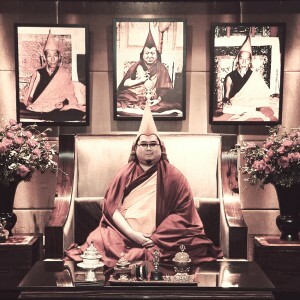 This is why he and other great Lamas ,like Tsem Rinpoche, have always urged their students to accumulate tremendous merits through merit-collecting activities . 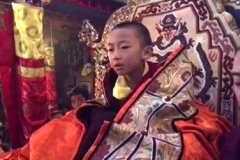 Thank you Admin and writer for posting and sharing this short biography of a highly attained lama, His Eminence Trehor Kyorpen Rinpoche. H.E. 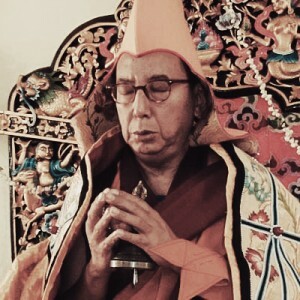 Trehor Kyorpen Rinpoche had spent most of His life in practicing the Buddhadharma, meditating and performing retreats as real examples for us to follow at this point of time. 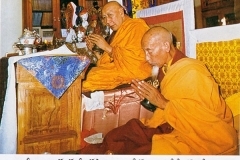 This article has made me realized that we must work hard on our Buddhadharma practices until we have internalized the essence of practicing Buddhadharma by consistently performing our daily sadhana with pure motivation, be mindful of our body, speech and mind at all times and understanding the correct method of Buddhadharma practices in a gradual manner rather than rushing to get to know more of intellectual aspects in Buddhism. 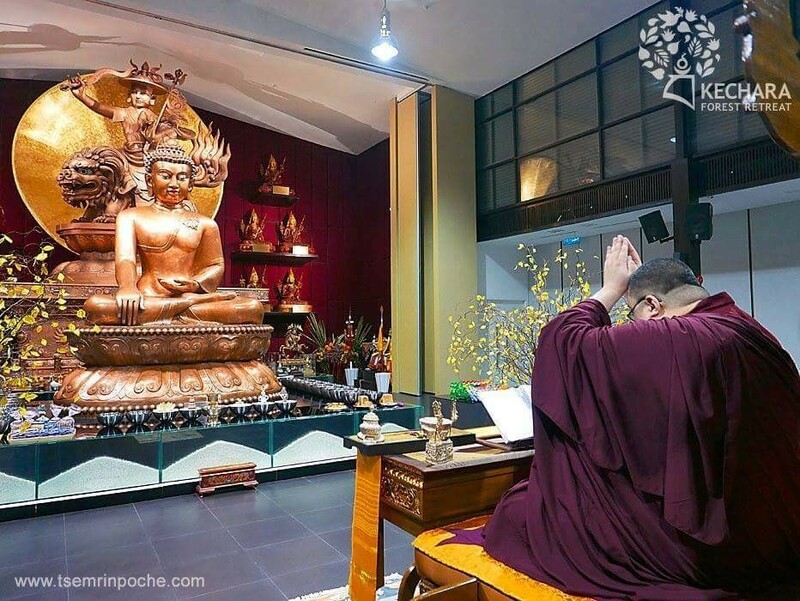 May more and more people able to learn, practice and engage more in Buddhadharma activities that lead us to gain ultimate happiness and liberate us from worldly samsara.